November 15, 2010. 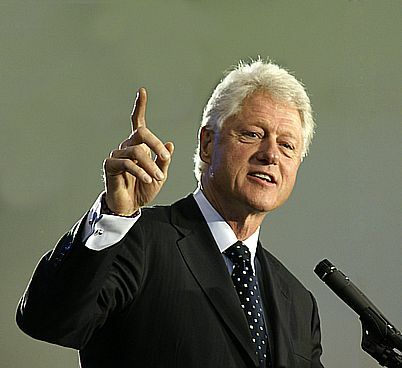 Former US president Bill Clinton stopped by Bangkok, the capital of Thailand, to visit the sets and debut in The Hangover 2 in the weekend. The official purpose of the former US president’s visit was to deliver a speech on clean energy. Clinton, who plays saxophone, has allegedly was quite artistic playing himself in a small role: he jumped into a rickshaw with Bradley Cooper and Zach Galifianakis, as movies.sky.com reports. Besides Cooper and Galifianakis, Ed Helms, Ken Jeong are co-starring along with Paul Giamatti, Liam Neeson and Juliette Lewis. The first film, a $35 mln-blockbuster comedy The Hangover, made an excellent box-office of over $500 mln. last year. Clinton is obviously trying to outsmart the first Russian president and the Nobel Peace Prize-winner Mikhail Gorbachev. However, it will be hard for him to break Gorbachev’s record popularity among top political leaders. Gorbachev starred in two films: historic drama Faraway, So Close! (1993) by Wim Wenders and Leonardo Di Caprio’s documentary The 11th Hour (2006) directed by Nadia Conners and Leila Conners Petersen. 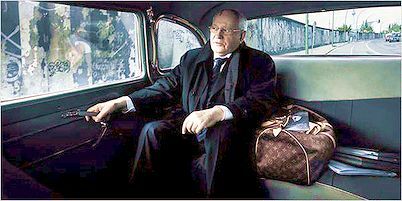 In 1997, seven years after his resignation Gorbachev starred in a Pizza Hut chain TV commercial and Louis Vuitton’s ad of leather goods and fashion. In 2000 he starred in TV commercial of Austrian railroads. In 2004 he won Grammy Award for Best Spoken Word Album for Children with Sophia Loren and Bill Clinton for Best Spoken Word Album for Children Peter And The Wolf. In 2010 he was the anchorman of the Japanese entertainment TV program SMAPxSMAP focused on home cooking. Besides, 16 features and TV dramas were released between 1984 and 2009 with Russian and Western actors playing the role of Gorbachev.